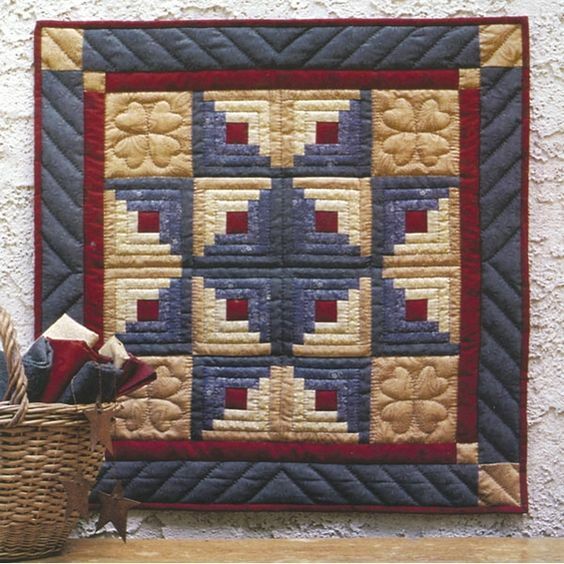 This gorgeous little quilt, a log cabin (with red centers!!) was found by me, on Pinterest. When I drilled down to find who made it, I found that this one is a kit, sold on Overstock.com. Anyway...if this is your quilt...it is the cutest thing ever!!! Just another example of how versatile the log cabin block is. OK...So I wish I were this organized! I made this kit probably ten years ago, and even made a sample block so I could figure it out again in the future, LOL!!! All reproductions, which tells me this was before the scraps and plaids took over my quilting life. I think the reason 1800's reproductions were so much a part of my life, is that we had a quilt shop near us...and it was almost every bolt, reproduction fabrics. I love them...but I love all fabrics, so no surprise there! So...this is how it REALLY is, now, LOL!!! All these are one inch strips, saved from projects and put into a little bin. Ha...you didn't know there was a bin under there, did you, LOL!! Overflowing! But not for long... I am glad to have saved these thin little strings, because this is what I am making my Teeny log cabin blocks out of!! I would like to use all of these up!! I have used a lot up already. Here is this week's gift, for a lucky Log Cabin Loonie, who links up below. It is bundle of those reproduction fabrics...just right for fall time, which is right around the corner!! It says a baker's dozen of fabrics...light and darks. So link up below, and show off your log cabin blocks, or strips! I have really enjoyed seeing folks using their strips and strings up, making some log cabin blocks, on various blogs...it is just great fun to see all the creativity! Thank you so those who have e-mailed in their block pictures...Helen, and Cathy, and Dortha!! They are so very pretty!! Helen was randomly selected as the winner for last weeks giveaway of the applique kits, so I will be mailing it out today. Mail is sometimes hard, because of work...work gets in the way of my fun!! I made this block for Linda Brannock's Flowers quilt. I am making slow progress on this quilt...the blocks are sort of wonky...which is funny, because most of my blocks are wonky anyway, LOL!! Link up below! Have an amazing day! Wouldn't those last three little baskets be wonderful center squares for some scrappy log cabin blocks? I sure think so! I love that little kit quilt too. Awesome little quilt....now I want to make one like that too! I like the log cabin blocks forming a star. I am almost finished with the half log cabin blocks I started making after my shoulder surgery. Only one more row to go. I still love the 1800's repros too, Julie! The basket quilts are too cute. Es muy bonito y las telas son ¡fantásticas! Whew! When I first saw the finished quilt I thought people were already finishing their log cab loonies. For my next version, I'm hoping to make blocks that look as nice as yours with lots of movement but maintaining the contrast. Repros and scraps and little baskets, oh my! Are you in heaven? I seldom cut ahead! I have adult onset ADD!